Iron Speed Designer can generate an Android application and Android application package (.apk), using the Deployment Wizard option “Generate Android Application”. The Android application is a native application that will open the device’s browser to the application’s mobile start page. 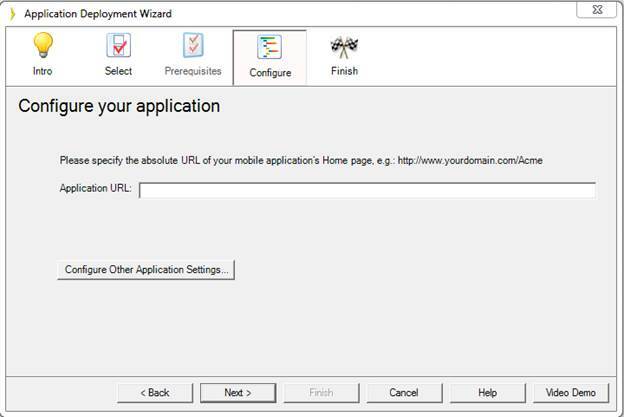 It creates the application and Android application package in the folder specified in the Deployment Wizard finish step. 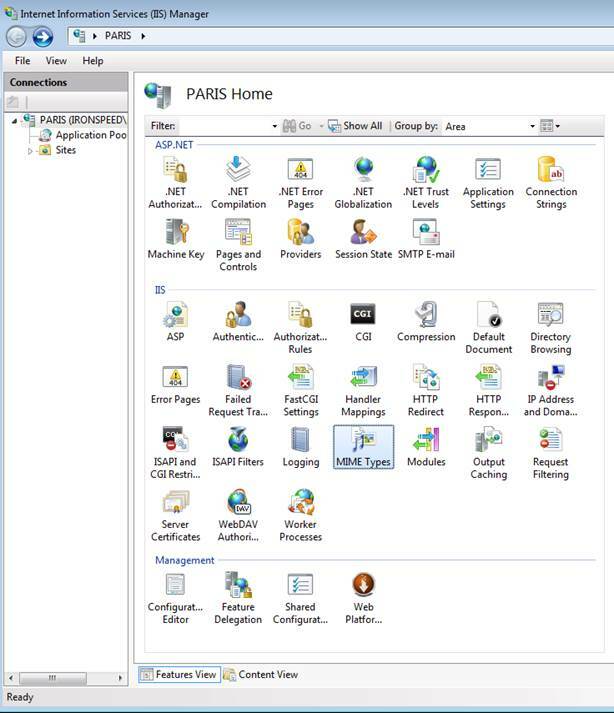 Make sure to specify all the properties in the Configure step before generating an application. Creating an Android application requires that additional supporting software be installed on the development machine. The installation requirements are given in Android Application Installation Requirements section. 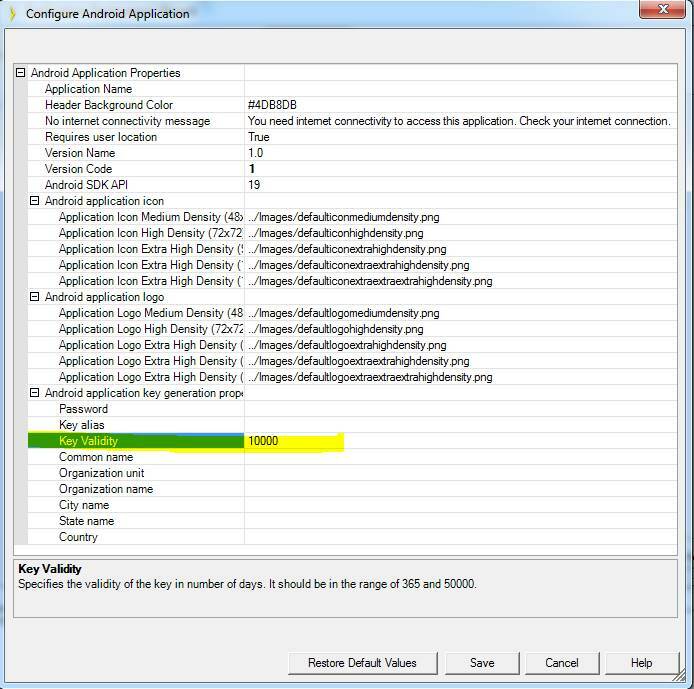 In the Configure step of Deployment Wizard, click on the button “Configure Other Application Settings…” as shown in the below screenshot to set the “Key validity” property value. In the property sheet as shown below, you can specify the value for “Key validity” property which specifies the duration of days the generated public/private is valid for. A validity period of 25 years (9125 days) or more is recommended. You can read more information about key validity in below URL. Check the section “Signing Considerations”. MainActivity-release.apk – the file that needs to be uploaded while submitting the Android application to the Google Play store or any other store. MyApp1 – a folder containing Android application generated files. Use .project file inside this folder to open the Android application using IDEs like Eclipse to customize it. google-play-services_lib – a folder containing the Dependent project for the generated Android application. This project is used by the main project “MyApp1”. Keystore – a folder containing the diginally signed public private key used to sign your generated .apk file. You can use the same key if you want to sign your application outside Iron Speed Designer. You can distribute your native Android application from your web site. · When users click the link from their mobile device and download the app they would need to go to downloads and click the app to install. Once the application has been created you want to run it on your Android device.